NEW BALANCE KIDS 501 Classic sneaker in wide widths with a twist. A classic with a pretty little twist! 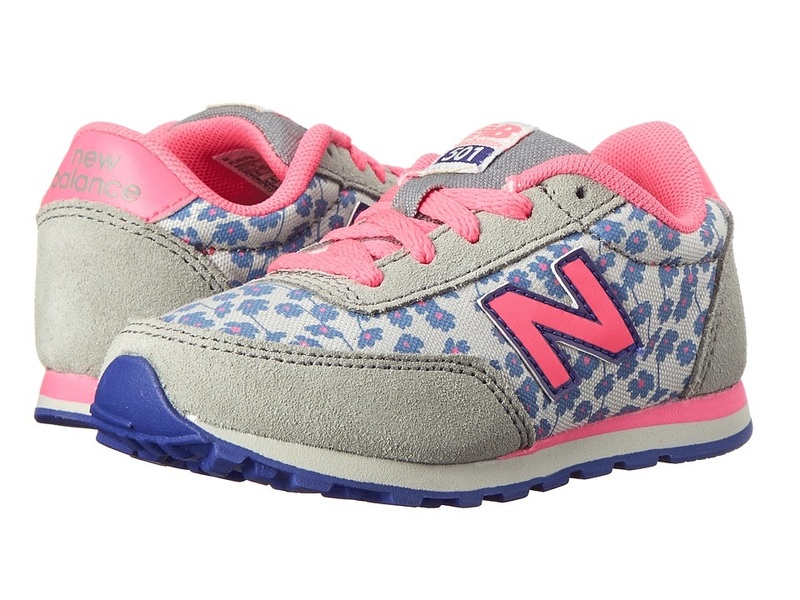 They'll stop and smell the roses in the 501 sneaker from New Balance Kids! Uppers of synthetic and suede materials. Breathable textile lining provides all-day comfort. EVA foam midsole adds cushion and shock absorption.